The trailer for The Head Hunter is impressive and a great example of what can be accomplished with a good idea and some impressive camera work. 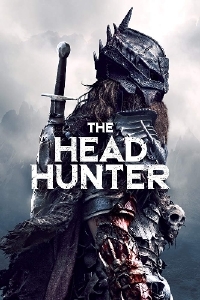 Jordan Downey's new movie, which he co-wrote with frequent collaborator, cinematographer Kevin Stewart, stars Christopher Rygh as a medieval warrior looking to avenge his daughter's death by collecting the head of the man (or creature) responsible for taking her. There's not much more to go on from the trailer which pretty much features Rygh wandering around the woods on the hunt for someone or something which may or may not be there but it's an atmospheric bit of work featuring some impressive camera work and drone shots which give the entire thing a feeling of being far more expensive than it probably is. The Head Hunter screened at a couple of genre festivals late last year including Fantasporto where Rygh took home the Best Actor prize while the movie walked away with the Portuguese Film award. The Head Hunter will open in select theatres and be available on VOD April 5. Not really fond of the washed off colors style we have since the digital era. I would really like to see it in black and white tho. But the shots look pretty and minimalism done well is always superior imo.